The most VERsatile SYStem on the market, the Versys VS.2 Fight Simulator is ideally suited for aerobic conditioning, endurance, speed and technique training. 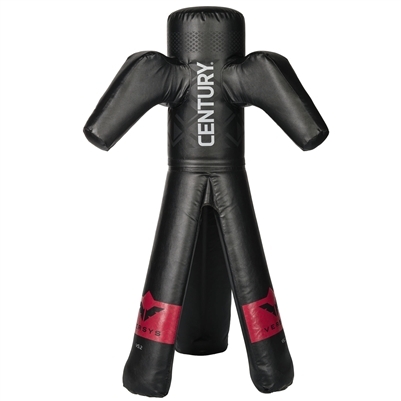 Tested by professional combat sport coaches, trainers and instructors. Intelligent, simple and effective. The VS.2 opens up a whole new world to all combat sports and fitness athletes. The VS.2 is the first grappling simulator to stand upright to allow for every upper or lower body takedown imaginable. The mixed martial artist, wrestler, judo, and Brazilian jiu-jitsu athlete can perform a full range of combination takedowns or follow through to holds, arm bard, leg locks, and reversals. Perfect technique, build endurance and speed without having to perform drills with a partner. Allows you to practice moves without exposing a partner to the risk of injury.